Many of you will recognize her! 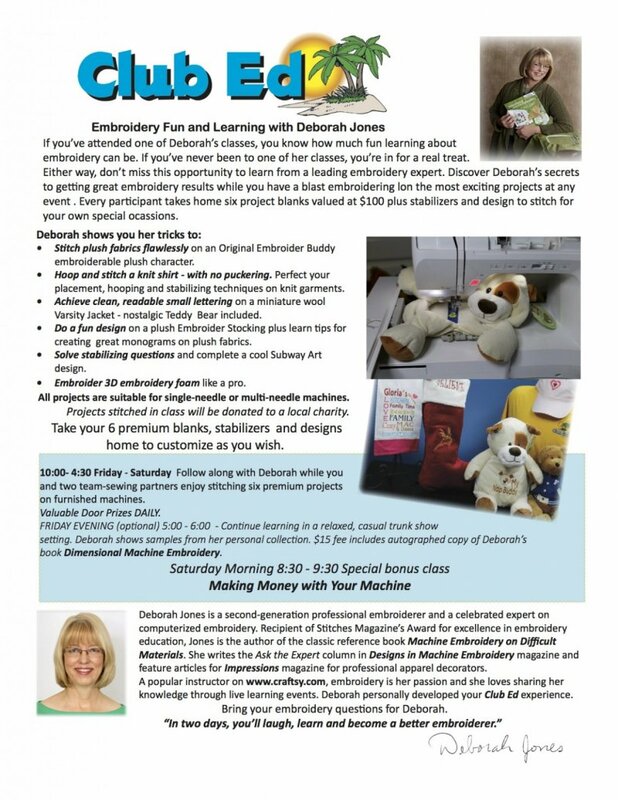 Deborah Jones writes wonderful articles for Designs in Embroidery and Stitches magazine and we are bringing her to Atlanta! We are so excited to have Deborah come to our store! This special event will be hands on team sewing with four people per machine in our Sandy Springs store with very limited seating so sign up quickly. Please read the description carefully, this is a very unique event. Event fee $199 includes all kits, lunches, bonus Friday night and Saturday morning sessions. Early signup by December 23 is $169. Sign up by calling 404-303-8030 or clicking here.